WASHINGTON (AP) — The U.S. gave Argentina on Friday 5,600 newly declassified documents related to human rights abuses committed during the military dictatorship that ruled the South American country between 1976 and 1983. The collection comes from 16 agencies and adds to the nearly 50,000 pages of documents already delivered as part of The Argentina Declassification Project , the largest government-to-government declassification effort in U.S. history. 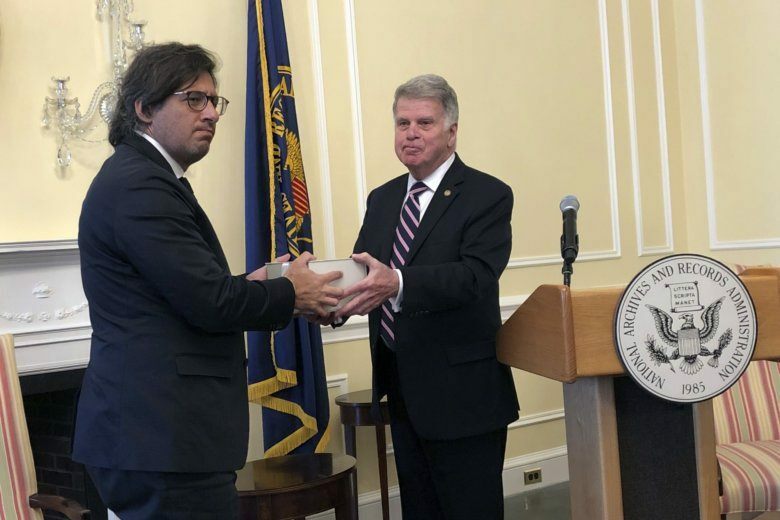 During a ceremony at the National Archives Building, United States archivist David Ferriero handed several hard drives of scanned documents to Argentine Minister of Justice Germán Garavano. Garavano later told reporters that the documents include details such as names of perpetrators and victims that may help Argentina’s judicial system close at least some of the 400 pending investigations into 30,000 people disappeared by the dictatorship.